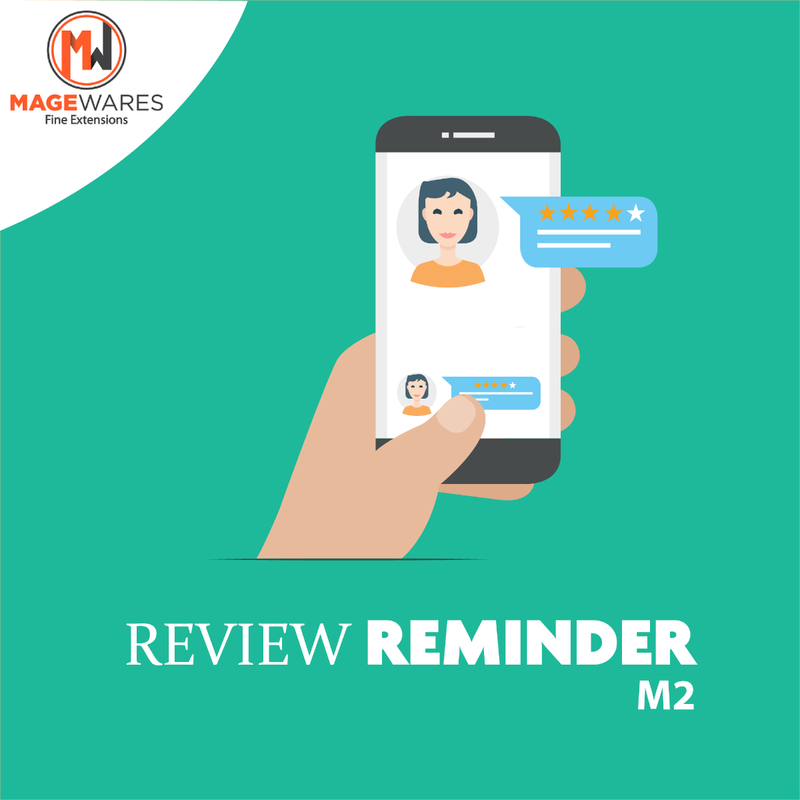 Review Reminder module for Magento 2 by Magewares helps you to get more reviews on your website. This extension sends follow up email to customers who have shopped from your online store to get the real and genuine reviews. 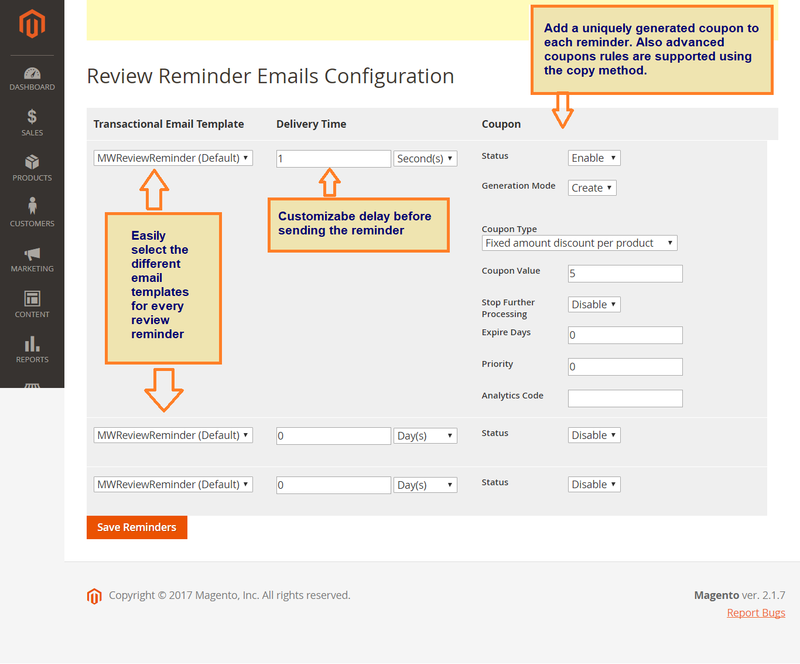 With Magewares Review Reminder follow up emails you can also incentivize your existing customer with a coupon if they leave the review for the purchased product. Send an unlimited number of review reminder to follow up. Automatically stop reminder emails when the customer leaves a review. 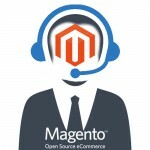 Configure to send review reminder to follow up only to a specific customer group. Add coupons to your review reminder emails to incentivize customers if they leave a review. Highly flexible email templates for email reminders, which you can change as per business reminders. Autogeneration Send – Set this field to yes if you want to send autogenerated email reminders, this works with cron script provided with this module. Reminder Sender – Set the sender, sender shows up in From field of the email. Default Name – This is default name, in case name of the customer is missed while creating the order. Default Subject – You can configure the email subject from here. Disable Customer Groups – From here you can disable the customer groups to whom you do not want the follow-up emails to go. Generate From – The maximum days to look back in time for reminders. Generate From must be higher than the delay of your first reminder. Generate From field is useful when you just install the extension to prevent it from sending reminders to people who ordered years ago. Send Reminder After – The minimum numbers of days to wait from the last reminder stream until a customer can trigger a new reminder. Enter 0 to disable protection. You can view and manage review reminder history from here. 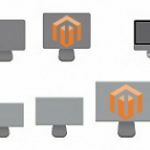 This extension available at Magewares for Magento 2 at $49 has more features to offer than any other review reminder emails plugin across the community at this low price.